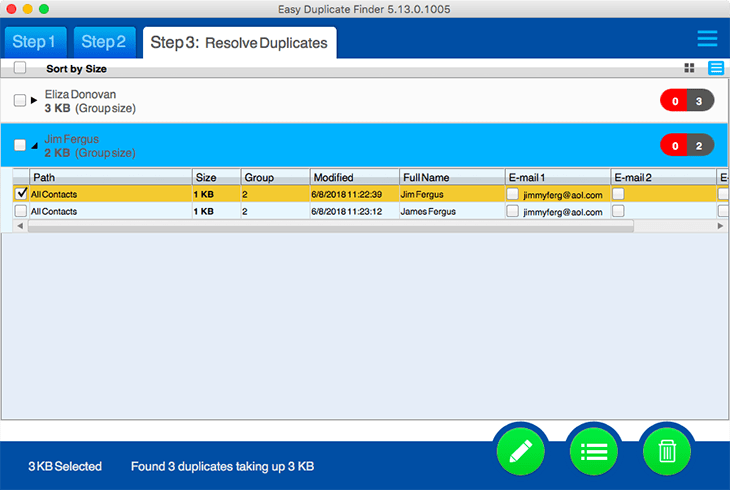 Find And Remove Duplicate Videos With Easy Duplicate Finder™! Microsoft Outlook is by far the most popular email client out there. The latest version of Outlook includes useful features like meeting management, bill payment reminders, and time zone management. Part of the popularity of the email client is that it’s available for Windows, Mac, Android, and iOS; it’s likely that you use it at least on your office computer, your laptop (or both). While it's a really nice app to manage your emails, contacts and tasks in one place, some annoying problems happen from time to time. Duplicate contacts are one of them. In this article, we'll teach you how to delete duplicate contacts in Outlook quickly and easily. How Did I Get Duplicate Outlook Contacts? That's a question a lot of Outlook users ask themselves when they see dozens of duplicate contacts in their account. The most likely reason for these duplicates is syncing. When you sync Outlook with another device or app, your contacts are updated with new data and some of that may be duplicates. This usually happens because different devices use different fields when you create contacts. Syncing and importing them into your Outlook contact manager will create new listings when in reality they are the same contacts. 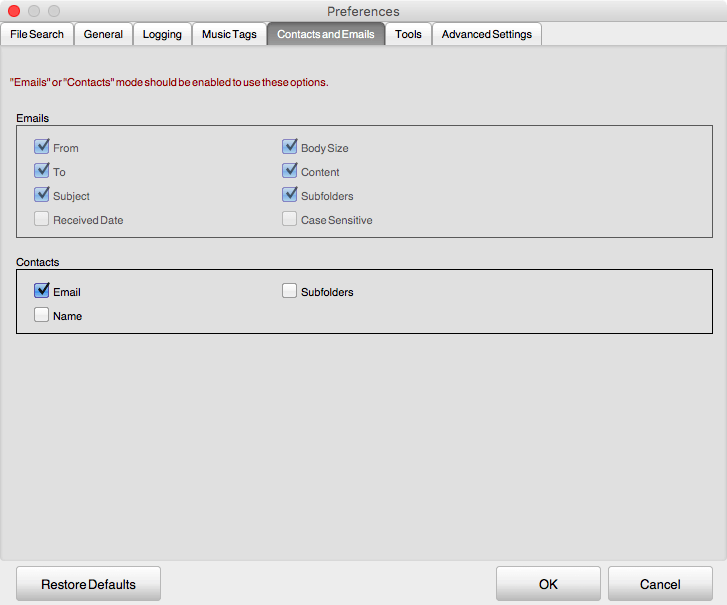 Another common scenario is when you create a new contact instead of updating an existing one. This happens when you add a new email or a new phone number for someone who's already on your list and save the entry as a new contact. 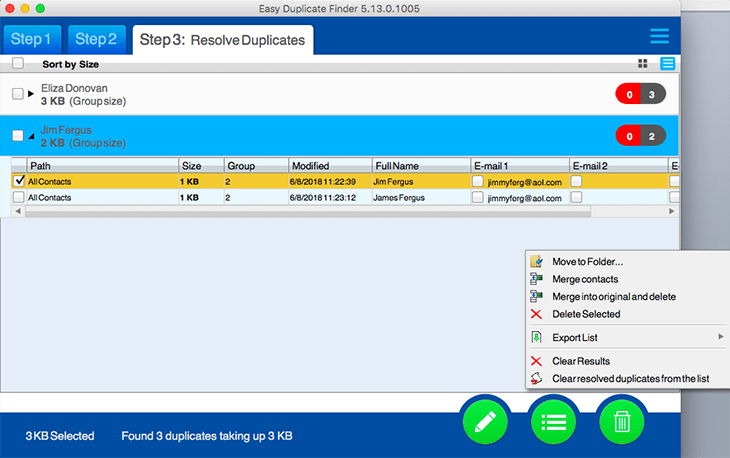 Open Easy Duplicate Finder and select the Outlook Contacts scan mode from the drop-down menu. 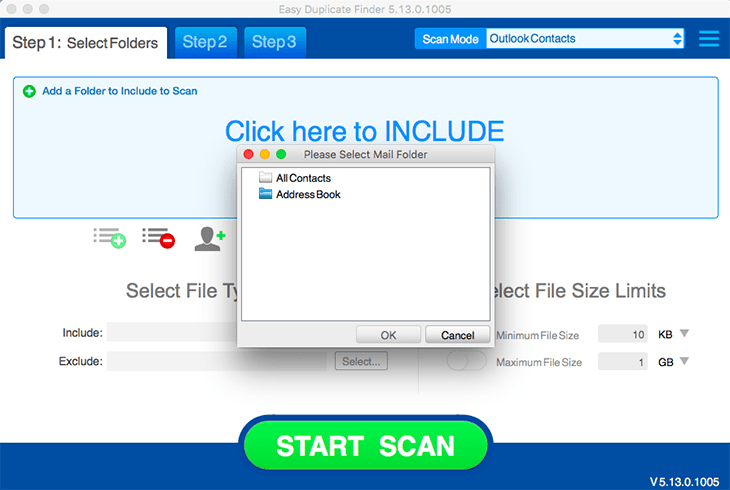 Add the folders containing your contacts to the scan window. Before you press the Start Scan button, go to Settings > Contacts and Emails and check the parameters for duplicate contacts. If you want to get broader results, uncheck everything except Email in the Contacts category. This will let you find contacts that have the same email address but might have different contact name (for example, John D. and John Doe). Now run a scan and proceed to Step 3 to examine the results. The Preview feature is disabled for the Contacts Scan mode because all the contact information is available in the scan results. We suggest that you use the list and group views to compare your contacts. The list view (above) highlights duplicate groups with different colors and the group view (below) groups them together. Expand a group to view the contacts it contains. If you want to simply delete duplicate contacts from Outlook, click on the trash can button. But make sure you click on the list menu button too because it offers some really great options. For example, you can merge duplicates with the original to update the contacts with all the info and then delete duplicate entries. As you can see, EDF makes it really easy to delete duplicate contacts in Outlook or manage them the way you like it. Of course, you could sift through your address book and manually delete duplicate contacts one by one. It's a tedious task but it works, especially if your contacts list is relatively short and you have enough time on your hands to compare contacts and update them if necessary. This method is good, but if you have hundreds of names in your address book, deleting the duplicates one by one will take too much time. Besides, merging contacts won't be easy at all because you'll have to copy and paste additional information manually. 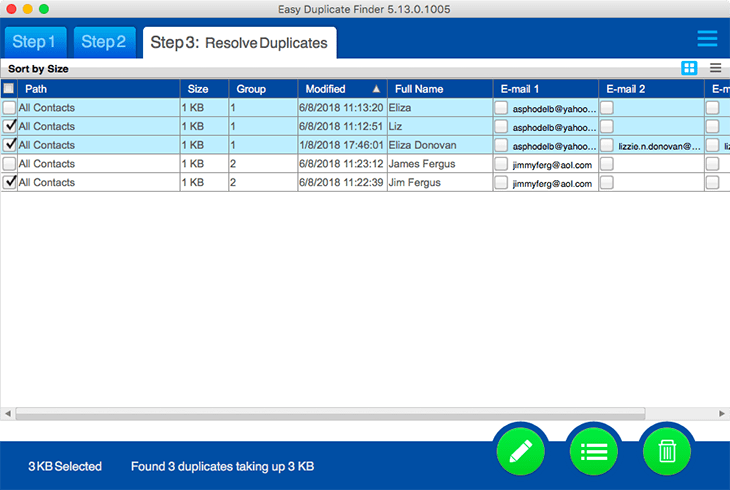 So an app to automatically find and delete duplicate contacts in Outlook will work best. Microsoft Outlook has lots of handy features and the option to store and manage your contacts is one of them. However, duplicate contacts can bloat your address book and make it difficult to stay organized. That's why it's practical to keep your contacts tidy and check them for duplicates every once in a while. 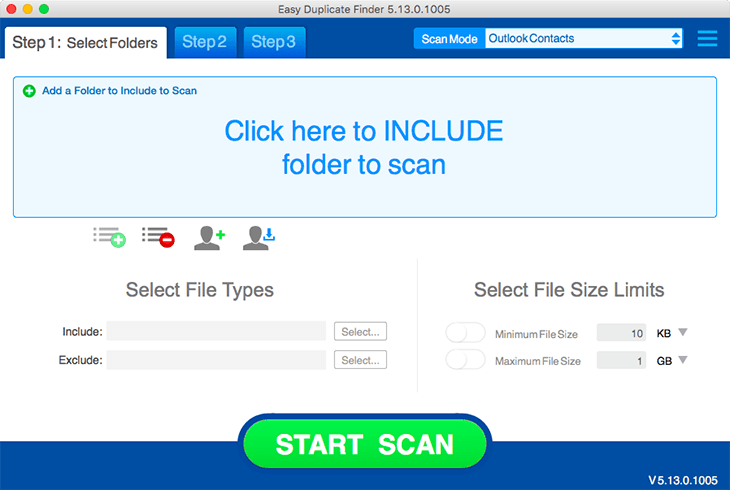 Easy Duplicate Finder will not only do that very quickly, but it will also merge contacts and update them with missing information. So it's a great alternative to sifting through your contacts manually and spending hours on deleting the duplicate contacts one at a time.